Mac Dias Jones Valentine came into our lives through adoption from Best Friends, Inc., originally as Logan's dog, but as children grow and leave home, dogs often stay with the parents, and that was the case with Mac. Mac gathered many names over the course of his life; his full title being Prince Super Captain Mountain Weenie. He loved to ride in the boat, on the 4-wheeler, and hike in the hills. Even with very short legs, he managed to keep up with his humans as well as his canine companions, Buck the Shorthair and River the Golden Retriever. 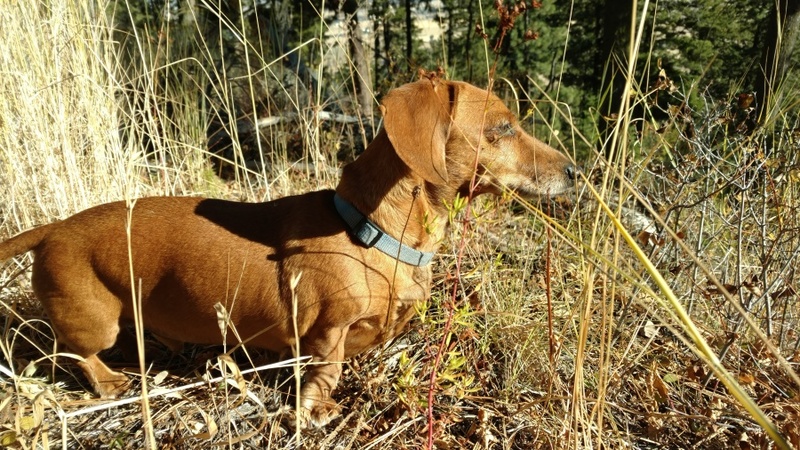 During his time with our family, Mac hiked many miles in the Elkhorn Mountains including Red Mountain Lake and Twin Lakes--all without assistance--and even made the occasional snowshoeing trip, though he wasn't a huge fan of snow. Mac was tough. Not only did he hike just as well as those much bigger than he, but he also survived many health issues including occasional seizures, being paralyzed (twice), and being attacked by a vigilant mother deer, nearly puncturing a lung. He was a warrior who loved life and loved people--particularly his family. Mac loved to sit in the sunshine, in front of the heat register, and sleep under the arm of his favorite human, Jake. He loved his canine companions, too, and mourned the passing of his friend and squirrel-hunting buddy, Buck on October 12, 2018. We will miss Mac and his fighting spirit; his playful, princely bounce; and his warm companionship. He was a truly friendly dog who loved attention and the company of a warm lap. Thanks for all the fun times and laughs, Mac. We will never forget you!